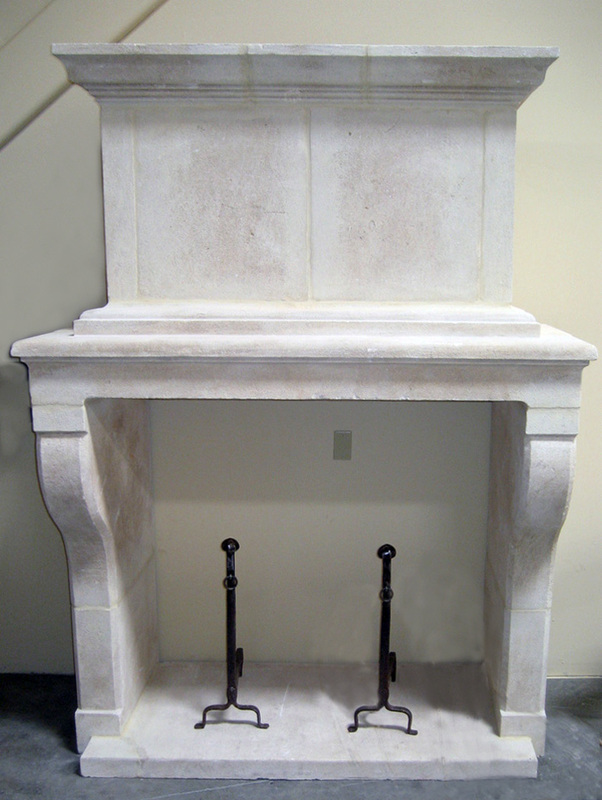 19th Century English Portland Stone Tudor Style Fireplace surround. 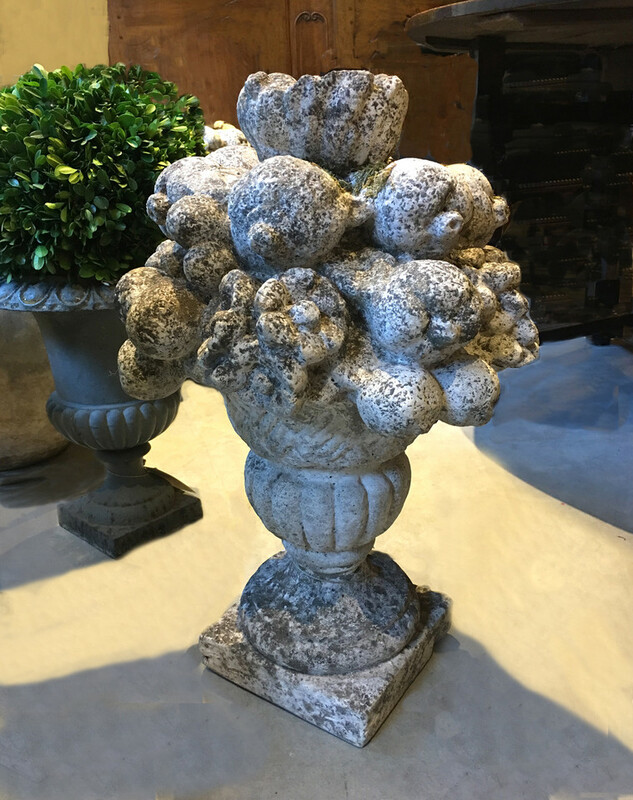 The carved lintel features the Tudor Rose. This theme was a favorite of Edwin Lutyens. 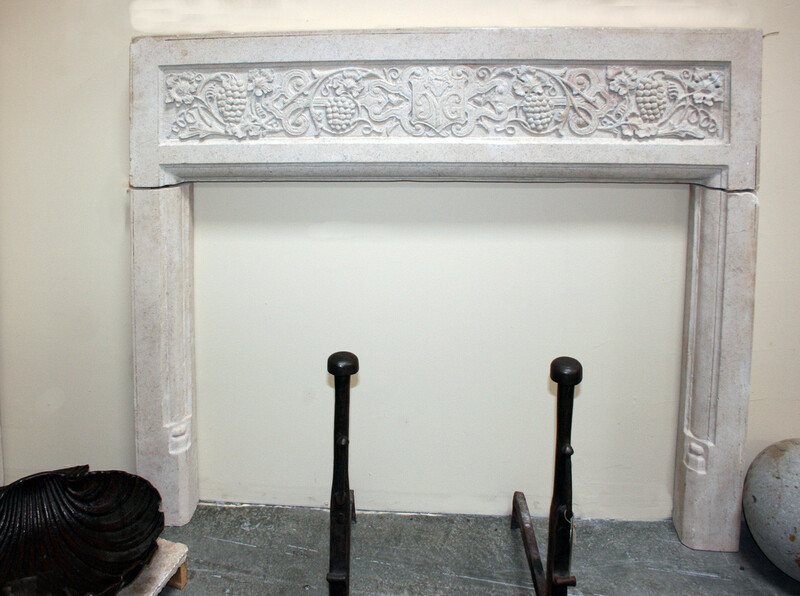 Early 19th Century English Portland Stone Fireplace surround. 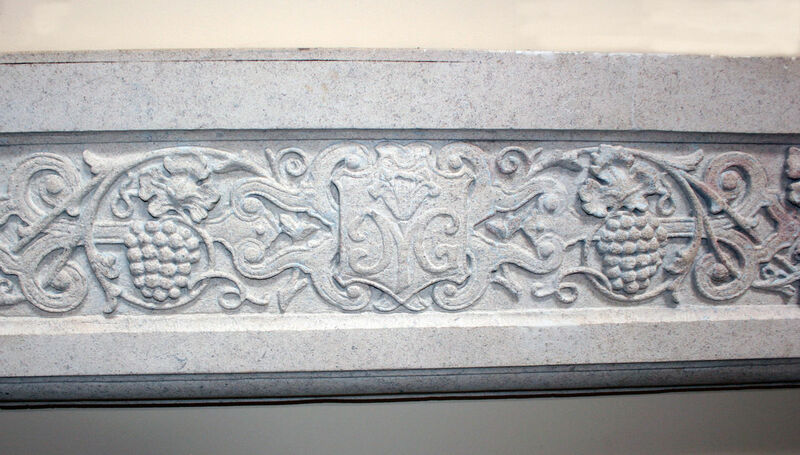 Carved lintel with grapes. 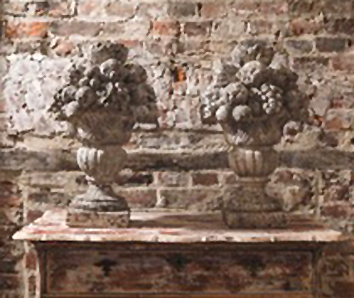 Louis XIII Style Reproduction Limestone Fireplace made in France.